Typically, you'd think, a suspect would be arrested, charged with whatever crimes of which he or she is suspected, and either released or held until trial. But Carlos Ghosn has encountered quite a different reality. This fourth arrest by Japanese prosecutors reportedly took place early this Thursday morning at Ghosn's residence in Tokyo. He was charged (for the second time) with breach of trust, this time over an alleged $34 million payment from his discretionary budget, spread over the course of years, to Suhail Bahwan – a close friend of Ghosn's and Nissan's distributor in Oman. The arrest stems from an internal investigation conducted by the Japanese automaker over which he once presided, and alleges that part of the payment went towards purchasing a yacht for Ghosn's personal use, with some going towards a company owned by Ghosn's son. These latest charges come after three previously levied against him: two for allegedly falsifying financial reports to hide some $80 million in compensation, and a third for another count of breach of trust in which he's said to have illegally (and temporarily) moved $16.5 million to cover losses and his tracks. If found guilty of those three charges, he could face 15 years in prison, along with whatever sentence this latest charge could add to his rap sheet. The Patrol finally comes to American Shores as a Nissan. 2017 Nissan Titan First Drive Review: Can The All-New Titan Topple America's Top Trucks? Nissan wants to convince American truck buyers to turn Japanese. Will they? 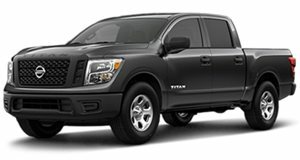 In many aspects the Titan is right in between the Silverado and the F-150.